One of the biggest complaints about hardwood flooring Portland homeowners have is that it expands and contracts with moisture, causing a variety of installation and maintenance challenges. Fortunately, for those who want the beauty and style of wood flooring without the moisture issues, there’s engineered wood flooring. Portland, Oregon homeowners who are planning a remodel should consider the advantages of engineered wood flooring, particularly in an area that receives so much rainfall. Engineered wood flooring made by a quality manufacturer such as Dansk, BBoss or Shaw results in a genuine wood floor with the added bonus of extra strength and durability. 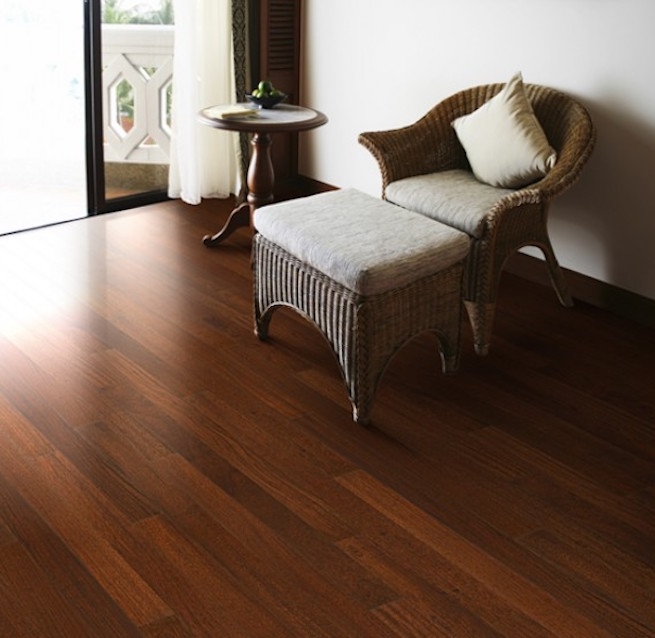 On the surface, an engineered wood floor looks much the same as any other hardwood flooring. Portland contractors, however, know that beneath the surface is a high-density fiberboard (HDF) core made of sawdust, shavings and wood chips from wood processing plants. After these materials are ground to a pulp, they’re mixed with resin and condensed from 8 inches thick to about a 3/8-inch thickness, creating an ultra-dense HDF core. What’s the Purpose of the HDF Core? Better moisture resistance. The HDF core gives engineered wood flooring the highest moisture resistance possible in a genuine wood floor. That means it won’t expand or contract with changes in humidity, resulting in a longer life and more uniform floor. Dent resistance. Because the HDF core is so dense, it creates a floor that’s up to twice as hard as a solid wood floor of the same species. That means engineered wood flooring won’t dent as easily. Easier installation. When installing solid wood flooring, Portland Oregon contractors must nail the boards to a wood subfloor in order to avoid the problems caused by expansion and contraction. An engineered hardwood floor, however, can be installed directly onto concrete and simply clicked or glued into place. The advantages of engineered hardwoods are well worth considering for any homeowner who is thinking about installing a new wood floor. Visit our Portland showroom to learn more about engineered wood flooring.